Need a cheap plant watering system for your next vacation? Plant watering systems for houseplants or outdoor potted plants are based on one of the simplest actions of nature: siphoning. And you can make your own plant watering system for as little as a dollar, and maybe even for free if you already have the "magic" ingredient at home. 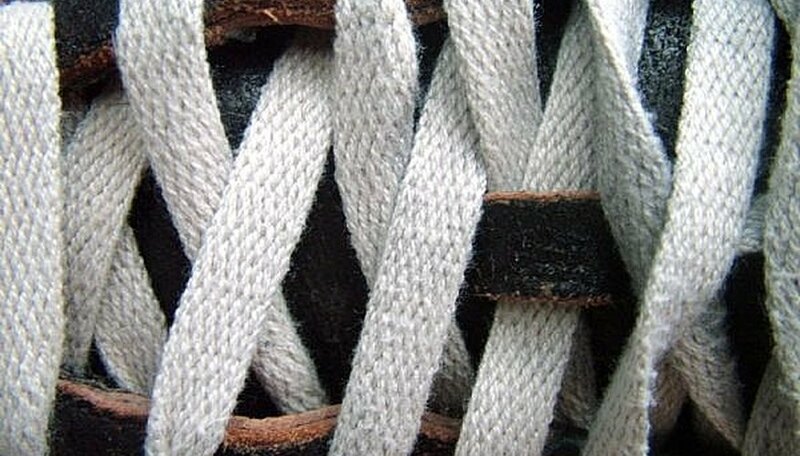 Purchase a pair of inexpensive white cotton shoelaces. These can cost about a dollar at discount stores, and one pair makes a plant watering system for four houseplants. If you steal them off an old pair of shoes, they won't cost you anything. Length isn't that important, but in general, the shorter lengths, such as the 27-inch length, are best for smaller houseplants, longer ones, such as the 45-inch length, for larger potted plants. Cut them in half. Your homemade plant watering system will use just half for each plant as the water wick. Set a container of water next to each houseplant. This is the water reservoir for your plant watering system. Set up the plant watering system. Water your plants as usual. Saturate the "water wicks" with water. Poke the end that still has the plastic down into the soil using any utensil that works for you, such as a screw driver or pencil. Make sure cotton actually touches much of the soil, because no water will come through the plastic part. Pack the soil around it with your fingers and add a few more drops of water where you poked it through to help it attach to the soil (don't overwater your plants, though). Put the remaining other end into the water container. Your plant will now draw up water gradually over time as its soil becomes dry enough to absorb more, and it will do it without over saturating. It will keep the plants watered with an even moisture, though, so this method is not appropriate for plants that call for dry spells before watering. It's highly advisable to test this or even a purchased plant watering system before leaving on vacation to make sure the water wicking is working properly.